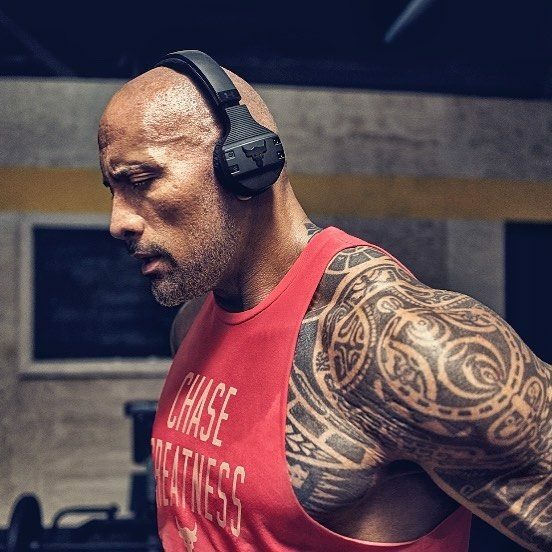 The Rock adds Tech N9ne To His Workout Playlist! Looking for a little extra motivation to get you through your workout? Why not take advice from the guy who works out more than any other human on earth? Earlier today, The Rock, who, as we well know is huge (literally and figuratively), released his workout playlist on Spotify in honor of his new headphone line, and he included not one, not two, but three songs from Tech N9ne: “Erbody But Me,” “Riot Maker,” and “Straight Out The Gate”.